It’s not shocking news that eating more nutritiously makes you healthier. Still, a new study may invite the attention of everyone, particularly those people with markers for heart problems. Researchers have found that certain diets have long-lasting healthy effects on the body. Food-wise, it has been your best health advice for some time now. 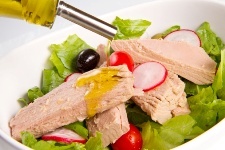 The Mediterranean diet is back again with proven results. This form of eating concentrates on vegetables, whole grains, fish, and olive oil, while restricting meat intake. Researchers found that the Mediterranean diet, along with the low-carbohydrate diet, could protect the heart over the long term through specific means. The study is no slouch, published in the famous New England Journal of Medicine. It is a based on a tightly-controlled, two-year dietary strategy. They found that the positive benefits from the Mediterranean diet and the low-carb diet are still around six years later, after the diets stopped. Regardless of any weight gain, people had lower cholesterol, lower triglycerides, and protection from plaque build-up in the arteries. For those interested in dropping some pounds, it may be helpful to know that the Mediterranean diet and low-carb diet can work some magic. Compared to a group just keeping a low-fat diet, the Mediterranean diet and low-carb diet led to significantly lower weights six years later. Four years after the study, 67% of people had managed to stick with the Mediterranean diet and low-carb diet. This suggests that they can be maintained over the long term—a vital factor. If you want to change for the healthier, you need an approach that can be sustained. Of the remaining participants, 11% had switched to another diet, while 22% were not dieting at all. After six years, the ratio of HDL (“good”) to LDL (“bad”) cholesterol remained significantly lower only in the low-carbohydrate diet. Triglyceride levels remained significantly lower in the Mediterranean and low-carbohydrate diets. Overall, total cholesterol levels remained persistently and significantly lower in all diet groups, as compared to the beginning. Both diets also induced a reduction in blood pressure—another key risk factor for heart disease. It’s a health breakthrough that gives us a valuable tip: making great changes to your diet pays off years down the road. To learn more about the Mediterranean diet , just open up Google. There is a mountain of information available on the Internet.